Oak of the species Quercus infectoria or similar, from whose galls ink and vegetal dye are made. 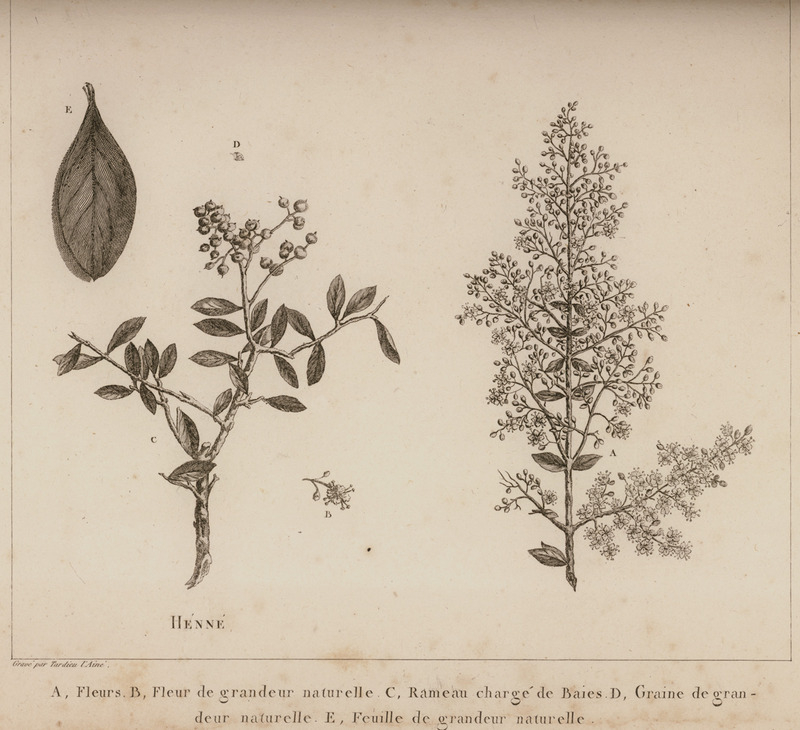 Image depicts two types of galls which grow on the tree as well as the two subspecies of wasp of the Cynipidae species which cause the galls to grow on this tree. 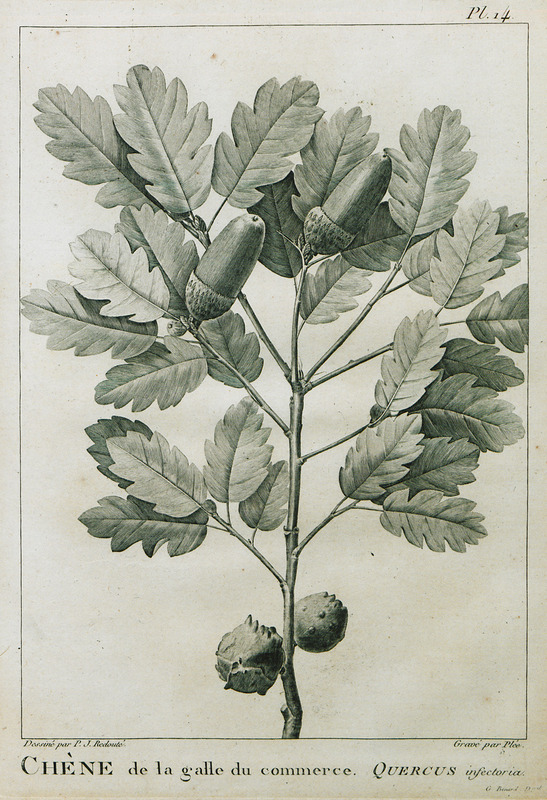 Oak of the species Quercus infectoria or similar, from whose galls ink and vegetal dye are made. 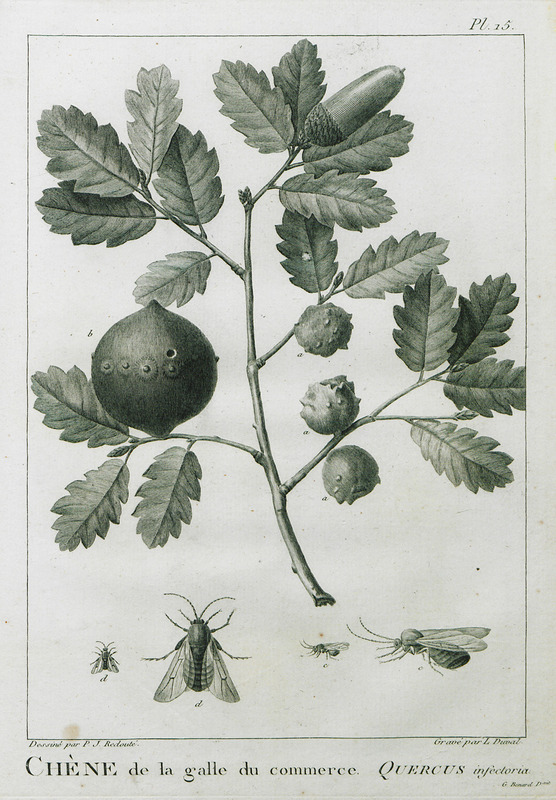 Image depicts two types of galls which grow on the tree as well as the two subspecies of wasp of the Cynipidae species, which cause the galls to grow on this tree.